The Cold War. A dangerous time for the world. A dangerous time to be a spyâ€¦ but that is exactly what being a spy is all about. As the shadowy clouds of intrigue and subterfuge settle across the globe you have been called upon by your country to obtain the Top Secret information that will ensure your country's safety and supremacy. But not all is as it seems; your spies are difficult to control on a global scale, and even worse, there's a Double Agent in your midst who threatens the entire mission! Can you achieve your goals at the expense of your opponent, or will the entire operation collapse in a sea of Confusion? 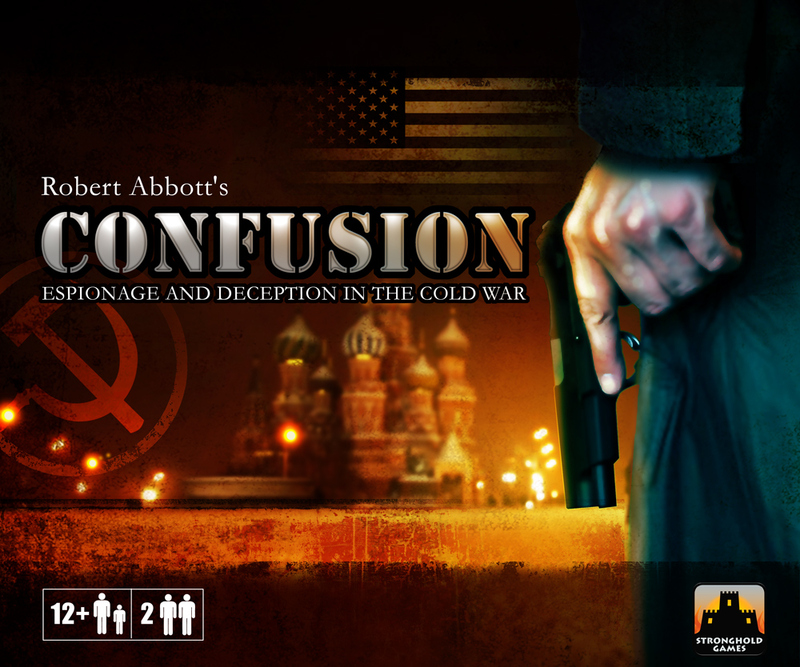 "Confusion: Espionage and Deception in the Cold War" is designed by the genius of Robert Abbott. This game has never been published in North America. Stronghold Games is proud to bring this great design to you. "Confusion: Espionage and Deception in the Cold War" takes players back to the early 1960s and the Cold War between the United States and the USSR. Each player takes on the role of their selected nation's spy agency: the CIA or the KGB. Confusion is a game of deduction and area control, as you determine how to influence your Spies, control the global spy network, and deliver the Top Secret Briefcase to win the game! At the start of a game of "Confusion", players aren't aware of the talents and skills their spies possess! Your opponent can see what your spies can do, but you cannot. Your job as a wise leader is to first deduce exactly how each of your spies move, then employ your knowledge by using each spy for maximum effect. While this game has a slightly heavier theme than chess, somehow it just works. This game is great as long as you have someone else who is into the more "cerebral" games!